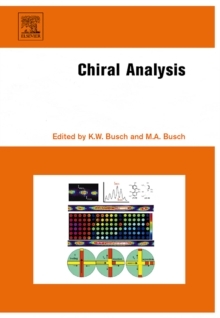 Chiral Analysis covers an important area of analytical chemistry of relevance to a wide variety of scientific professionals. The target audience is scientific professionals with an undergraduate background in chemistry or a related discipline, specifically organic chemists, researchers in drug discovery, pharmaceutical researchers involved with process analysis or combinatorial libraries, and graduate students in chemistry. Chapters have been written with the nonspecialist in mind so as to be self-contained.